This bright telephone is a response to your desire to enjoy the quickness and turbulence of life. You, your life and you telephone are attractively mysterious and surprising. Exclusive design, expensive materials, hand-made engraving make this telephone an embodiment of luxury and an icon of good taste. High-tech gadget will become a perfect addition to your image both during work and rest. 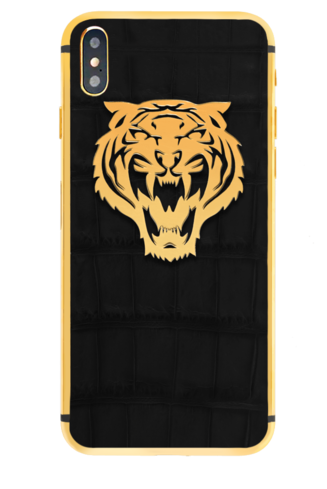 Stylish and original telephone with unusual bright emblem of tiger made of 18К gold, that makes a wonderful contrast to genuine crocodile leather.